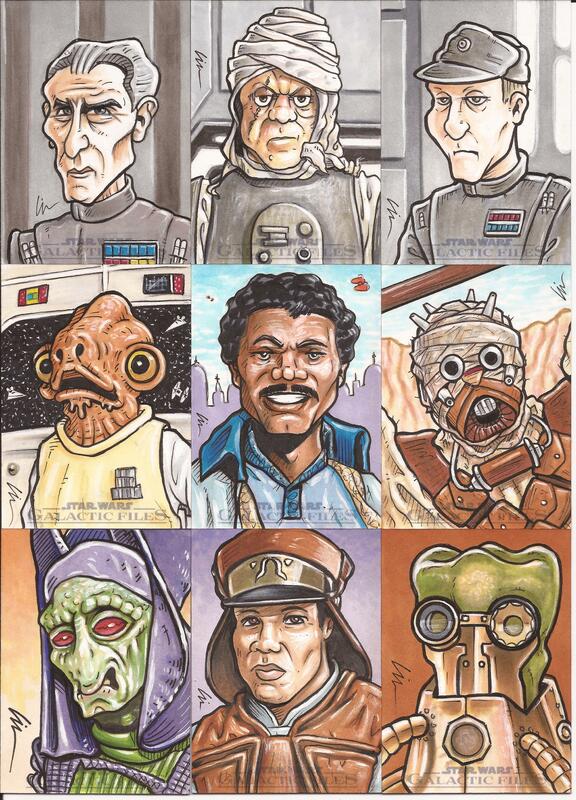 1 did 109 total– 100 sketchcards to go into card packs from Topps, and 9 artist returns that I’ll be selling on my site once they are, well- “returned” to me from Topps after final approvals. Nicki and I picked these cards to be my artist returns. Even though I had 9 instead of 6 this time (got 3 extra for doing them all in color) it was still hard picking only 9 out of 109. 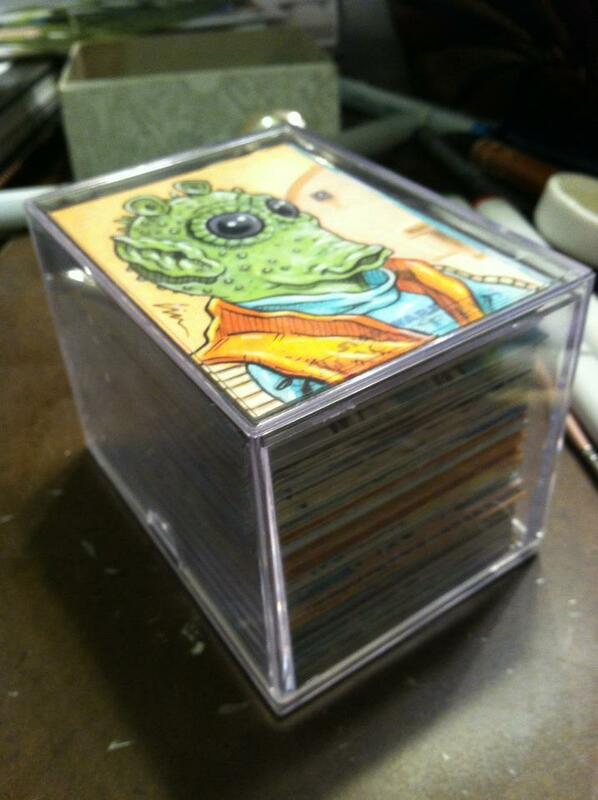 I should have my artist returns back about a couple weeks after the cards go on sale in stores. 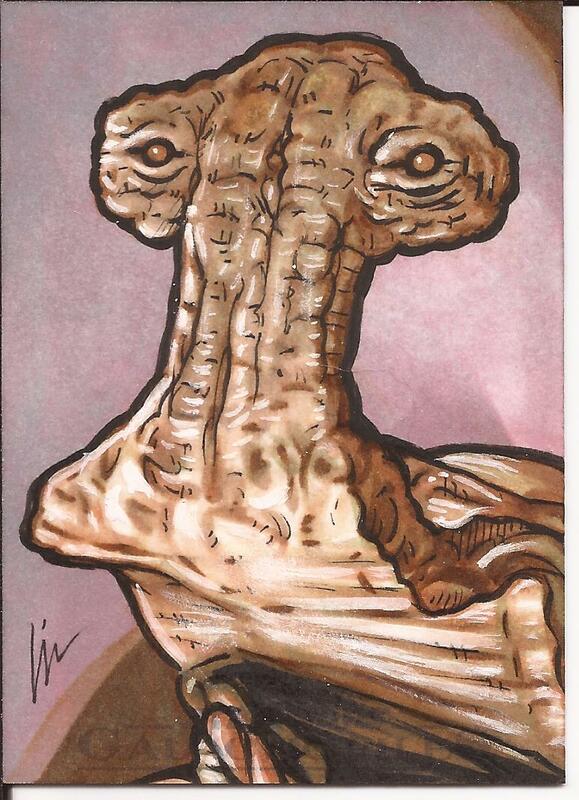 One that didn’t make the returns cut but that I really liked was this card 0f Momaw Nadon, or “Hammerhead” as I knew him growing up. He was always one of my favorite cantina aliens from the first Star Wars movie, and one of the first Star Wars action figures I ever got as a kid. 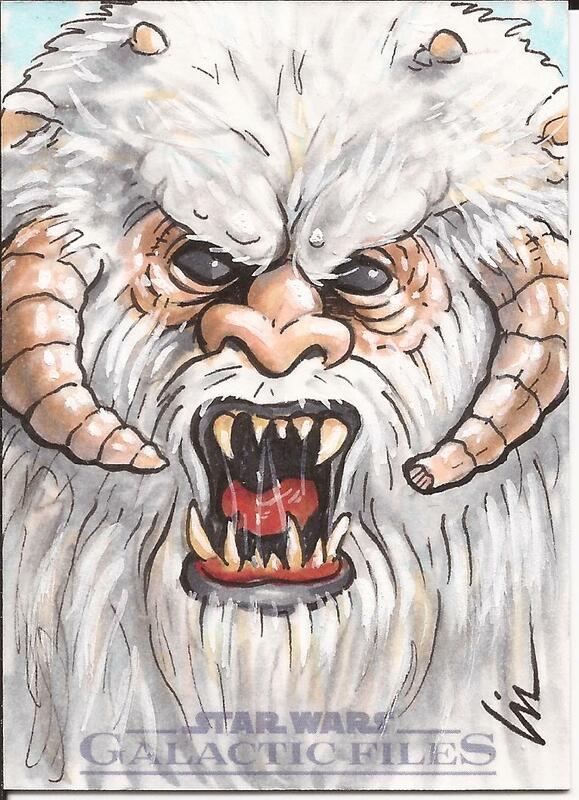 Some lucky fans will have the chance to find this sketchcard in a pack of trading cards this fall! Keep an eye out for these in stores this fall. Up next I’ll be working on some Transformers and Deadworld sketchcards for Breygent Marketing. You can follow them here on Facebook. 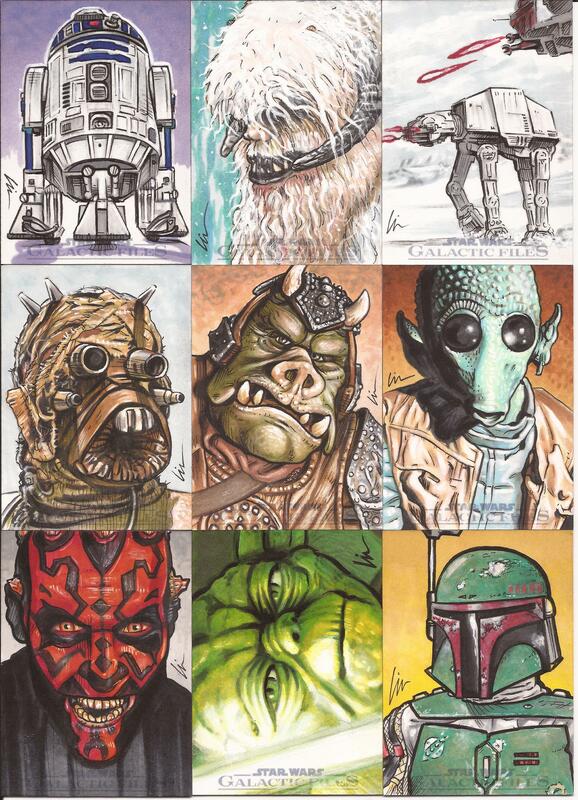 Don’t forget I do have these artist returns from Topps’ Star Wars Galaxy 6 & 7 card sets still available for purchase here on my site. 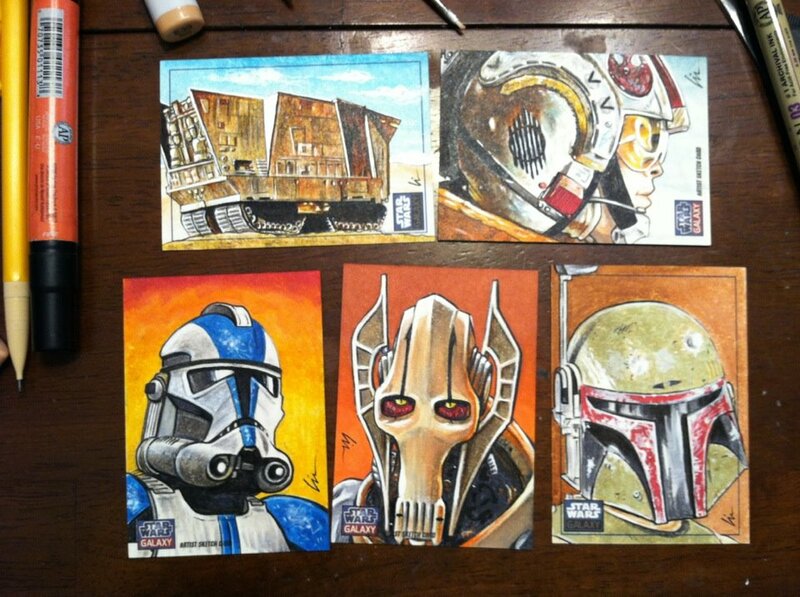 Each is a one of a kind hand-drawn sketchcard. 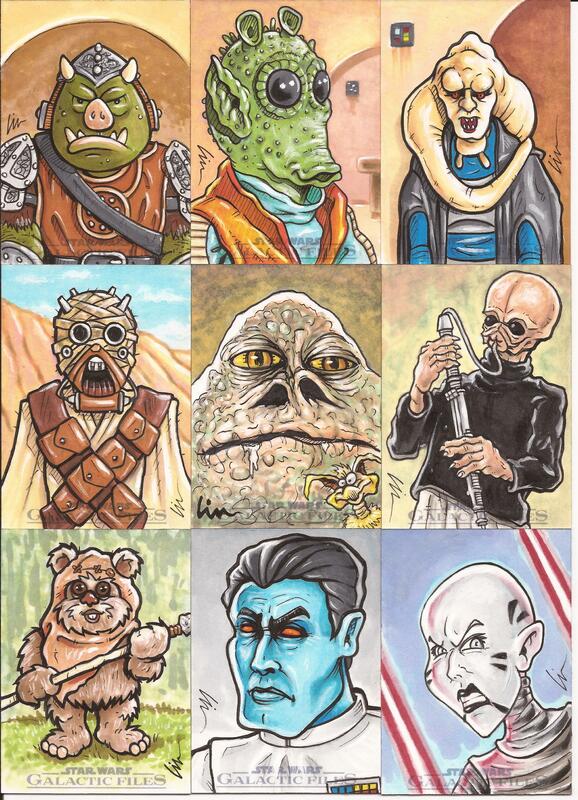 ← Star Wars Galactic Files Sketchcards- In The Home Stretch Now!